Ripon, California U.S.A. December 16, 2013 – Guntert & Zimmerman (G&Z) is proud to take part in CONEXPO/CONAGG 2014 (South Hall, Booth #61115) with its EGON IntelliMatics™, updated TC1500: Texture Cure Machine, S600: Multi-Purpose Concrete Slipform Paver and TeleEnd: Telescopic End Section. 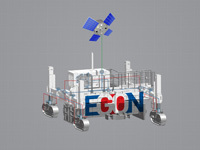 EGON IntelliMatics saw its international release at bauma 2013. 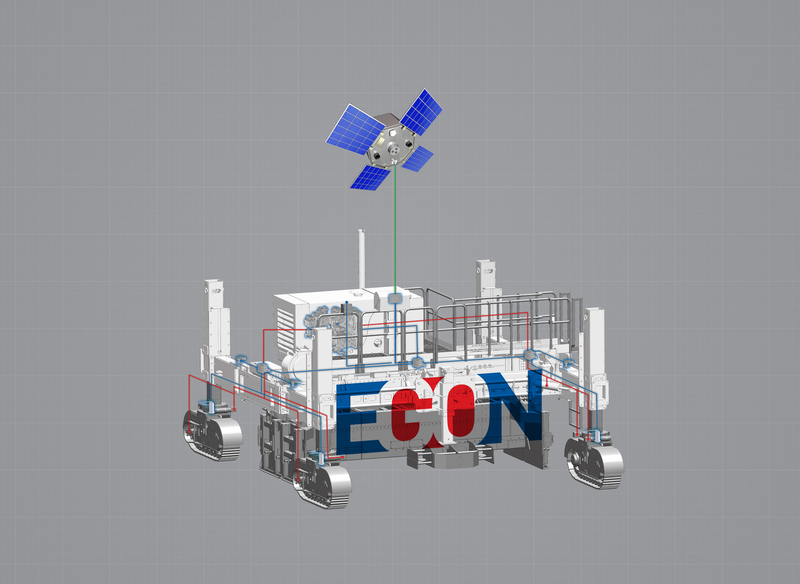 EGON IntelliMatics will be rolled out to the US market at CONEXPO. EGON IntelliMatics takes the concept of telematics — monitoring engine functions to catch small issues before they become major problems — and expands this to all aspects of machine operation including hydraulic and electrical functions. The updated TC1500: Texture Cure Machine will feature new relocatable jacking columns, new cure spray hood with quick width change feature, new cure spray system, new standard cure tote usability and new EGON Plus+1 controls. 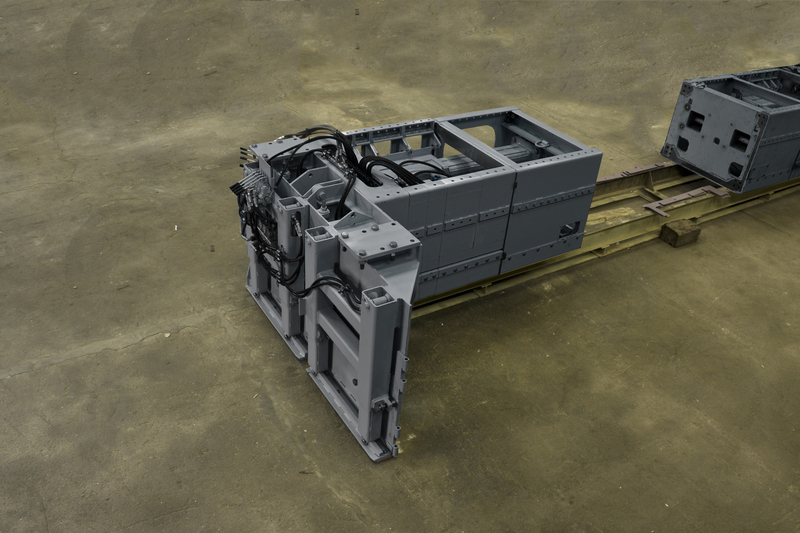 The S600: Multi-Purpose Slipform Paver will be equipped with new features including EGON IntelliMatics and TightTrack: Tight Trackline Paving Package that allows contractors to pave with only 12” (30cm) of companion lane trackline. EGON Introduction –EGON IntelliMatics is a powerful remote diagnostics/monitoring system that will allow any machine owner to protect their investment. 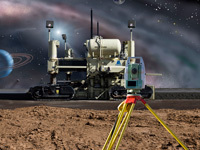 The G&Z software engineering team has added to the already extensive onboard capabilities and designed a web based remote user interface to allow maximum connectivity anywhere in the world. Some of these capabilities include: the ability to download program updates, input and output monitoring, remote troubleshooting to reduce service visits, error codes emailed to the customer and G&Z in real-time, connectivity via WiFi or GSM, GPS technology to monitor location, data logging, maintenance reminders, remote setting changes, etc. Truly the sky is the limit with this system, and the potential customer savings over the life of the paver are limitless. EGON will be demoed in the booth. One of the challenges concrete contractors face is the need to pave in tight trackline or narrow clearance situations at full width. With the optional TightTrack Paving Package, G&Z swing leg pavers (S600 and S850SL) can pave full width with as little as 12” (30cm) of companion lane trackline available next to a temporary median barrier and any other tight trackline application with or without a Dowel Bar Inserter attachment. This type of tight trackline paving has never been possible before with a slipform paver at full width. 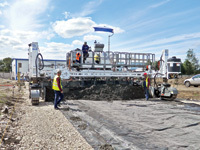 Now contractors have more options when faced with “near-zero” clearance trackline paving conditions. 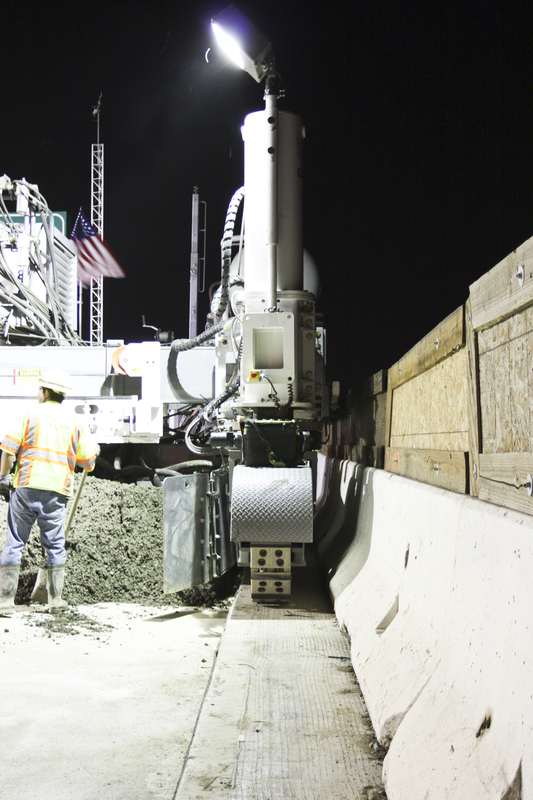 Contractors no longer have to sacrifice concrete smoothness or the width they want to pour under narrow profile situations. The S600 in the booth will be displayed with this option. 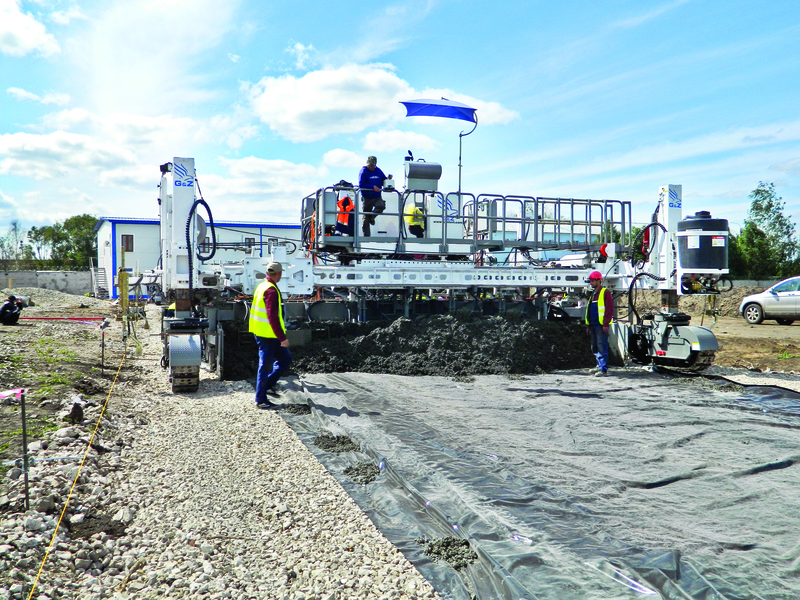 The Guntert & Zimmerman (G&Z) TC1500 is the most technologically advanced texture cure machine on the concrete paving market today. The features contributing to this best-in-class distinction include: 90 degree steering, highly accurate steering and elevation control systems, and unique, rigid frame design for quick width changes. New and Updated Features – The TC1500 has been updated with several new features to speed the width change process while continuing to provide contractors with a stout, rigid machine that will deliver uniform results. The relocatable jacking columns and new cure spray hood with new cure spray system are designed to shorten width change intervals. The relocatable jacking columns are great for smaller width changes while the new cure system is modular to allow for rapid width changes. The TC1500 has also been updated with a cure tote platform that accepts all standard cure totes for ease of exchange or replacement. The TC1500 has also been upgraded to new G&Z EGON Plus+1 controls. S600 Demo: Out of Many, Two Key Features – AccuSteer: Slew Drive Track Control System is powered by hydraulic motor driven, hourglass worm gear technology which provides long life, high steering accuracy and extremely high maneuverability. Working in tandem with AccuSteer, SmartLeg allows the paver operator or ground person to adjust the crawler track location while stationary or change the swing leg angle on the fly while automatically keeping the crawler tracking straight ahead. Both of these features will be demoed in the booth. NoLine: Stringless Preparation Kit can be included as an option on all G&Z Pavers and Support Equipment. NoLine is comprised of a software upgrade and a hardware kit. The NoLine Software Upgrade integrates the use of stringless technology directly into the machine's CANBus network. 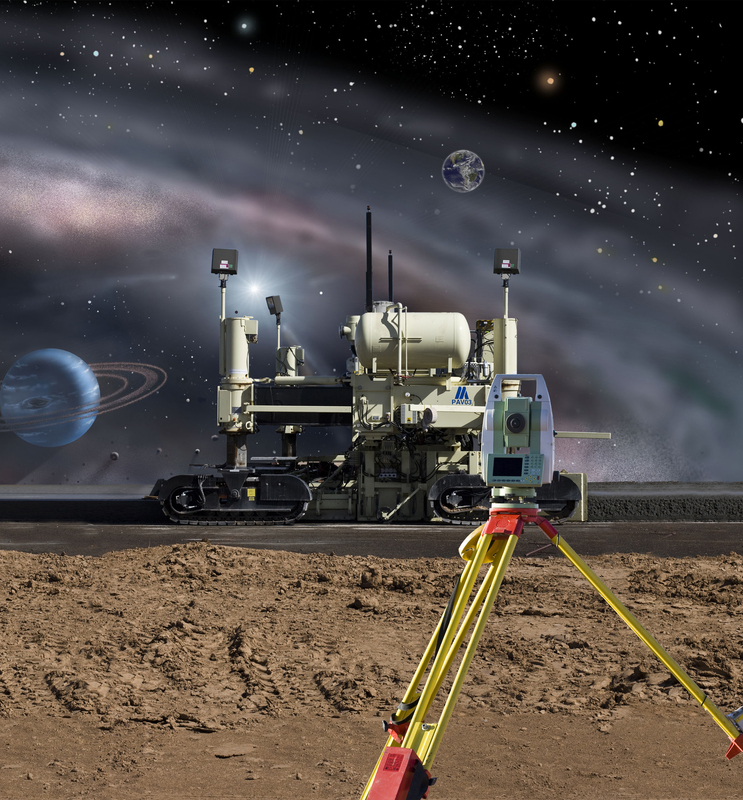 The NoLine Hardware Kit provides telescopic masts for the total station prisms (only necessary on pavers) and battery backup. 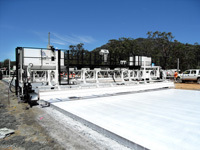 NoLine makes paving stringless easy through reliable, proven and integrated software. 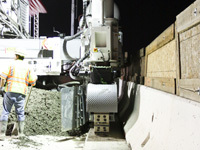 NoLine will be installed in partnership with Leica Geosystems on the S600. TeleEnd: Telescopic Paving Kit End Section allow contractors to perform paving kit width changes rapidly without removing bolts or use of cranes and with just a one or two person crew. Each Telescopic End Section gives the contractor 3 ft. (or 6 ft. for both sides) of quick width change capability with G&Z Slipform Pavers. A width change which could typically take a four person crew no less than 6 to 10 hours can now be performed by one or two people in less than two hours. G&Z has released its New TeleEndXL which now offers 4 ft of quick width change capability per side or 8 ft. for both sides. The TeleEnds will be live and demoed in the booth. In 1956, Guntert & Zimmerman (G&Z) pioneered and introduced the first crawler track mounted, concrete slipform paver with automatic line and grade control in the United States. In 1963, G&Z along with SGME, Belgium successfully introduced the first slipform paver into Europe and set a standard for how concrete roads and airports building. Today, G&Z’s wide range of productive and dependable concrete paving products make it the most trusted and respected name in the market. Since its founding in 1942, G&Z has been known for its innovative and pioneering spirit by helping to make contractors as productive as possible. 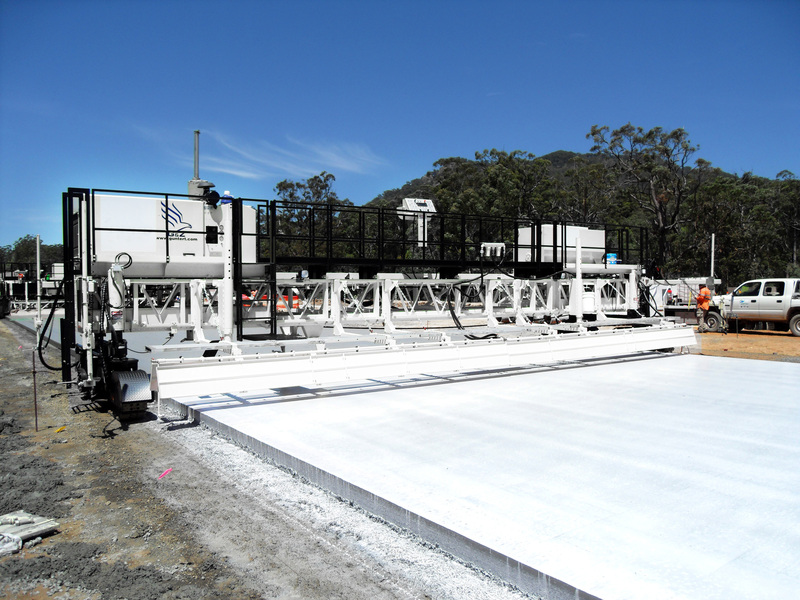 G&Z is constantly developing new technology and upgrading its existing product offering which includes a full range of slipform pavers, placer spreaders, mechanical dowel bar inserters (DBI), texture cure machines, and concrete plants. Whether your machine is new or has over 10,000 hours of operation, G&Z guarantees your satisfaction and will provide you service and parts support no matter where you are in the world. 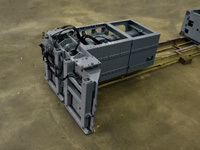 G&Z is also a leader in the design and manufacture of canal construction equipment and bucket wheel trenchers along with other special equipment. Guntert & Zimmerman Const. Div., Inc.